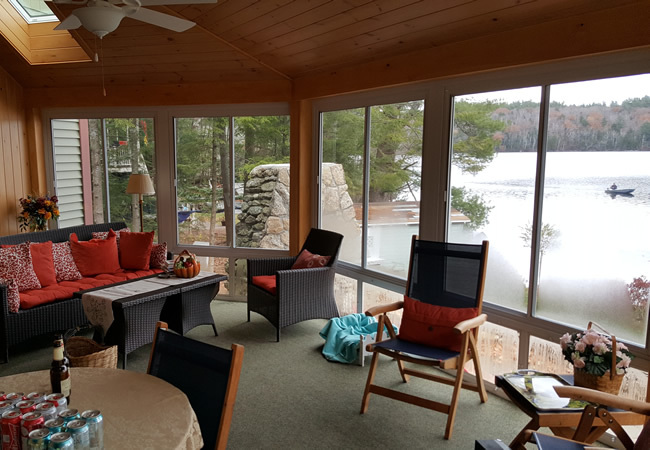 This Lake Home in Sunapee, NH was designed on a site of a former dilapidated cottage. 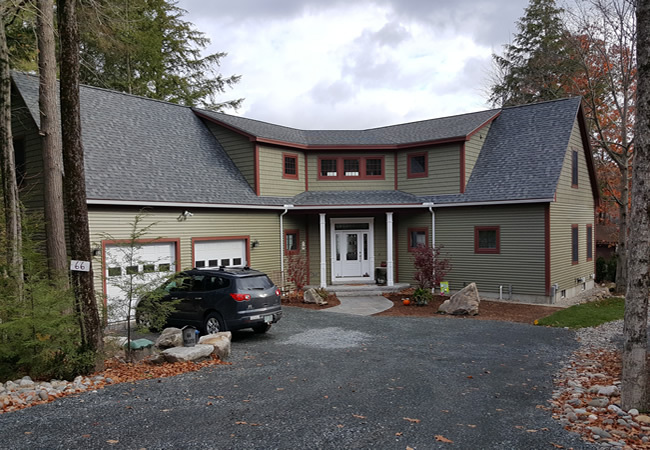 The site was extremely small and the residential architecture program was quite large: two master suites, guest room, living room, kitchen, dining room, three-season porch and plenty of storage. 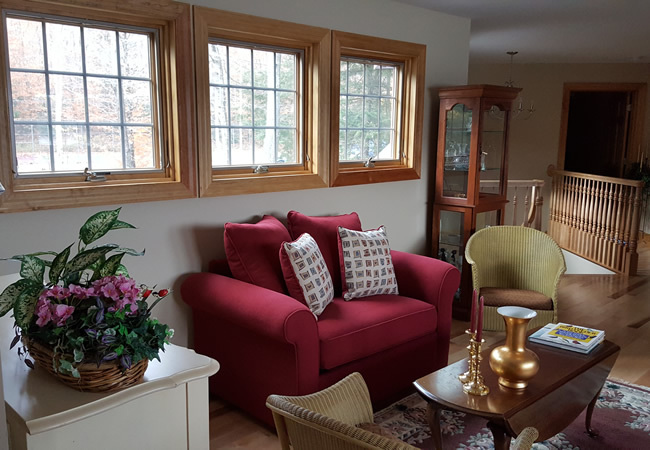 The existing cottage was completely removed except for the original fireplace and chimney, which were incorporated into the exterior patio as a fire pit. 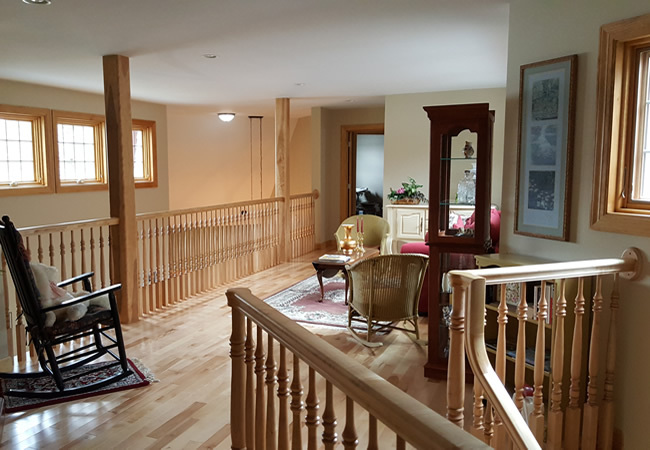 There is a 'balcony' sitting area on the second level with views of the pond (and kitchen and living room below). And the main entrance was designed to bring your eye immediately to the water and keep it there throughout the home.